You can install it over your existing v2 or v3-alpha1 installation (your purchase and settings will be carried over). How do i opt in, it mentions something with invites? 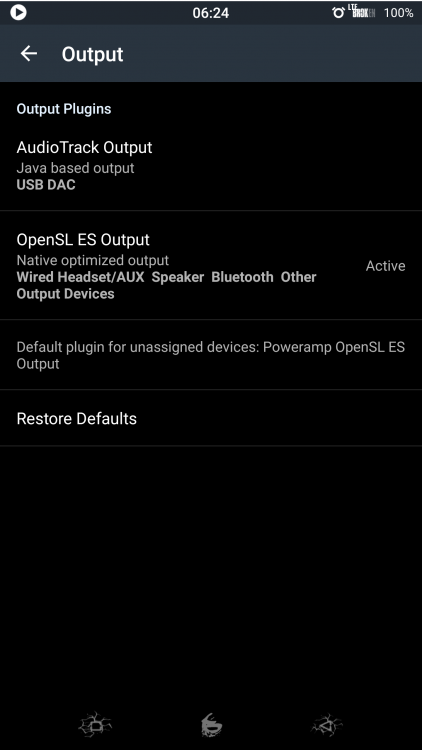 Q. Poweramp v2 always has been able to play Hi-Res Audio, what is actually added in Alpha2? A. Poweramp v2 can decode Hi-Res Audio, but it's always resampled back to 16bit/48 (or 44.1) khz as previously device+ROM combination couldn't output more than that. Alpha2 build can actually output Hi-Res (24bit/192khz, depedning on the device) via smartphone Hi-Res DAC to wired headset/headphones. Q. What smartphones have internal Hi-Res DAC? 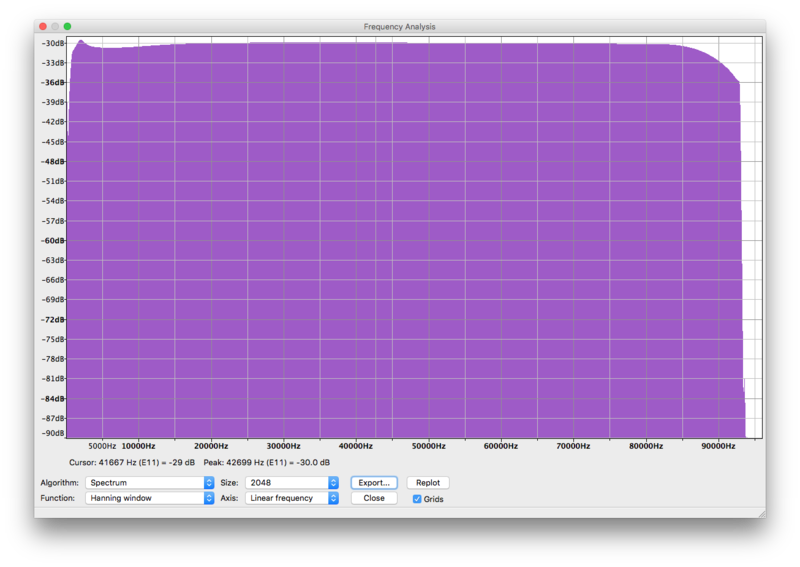 Some MTK based devices (with appropriate hardware and ro.mtk_besloudness_support=1) (e.g. Highscreen Boost3). All the above devices should be on Android 5+, with the exception of LG G2, which is Hi-Res capable on Android 4.4. The bold ones are tested/confirmed. Due to the variety in Hi-Res implementations, internal Hi-Res can also work on devices not listed here. 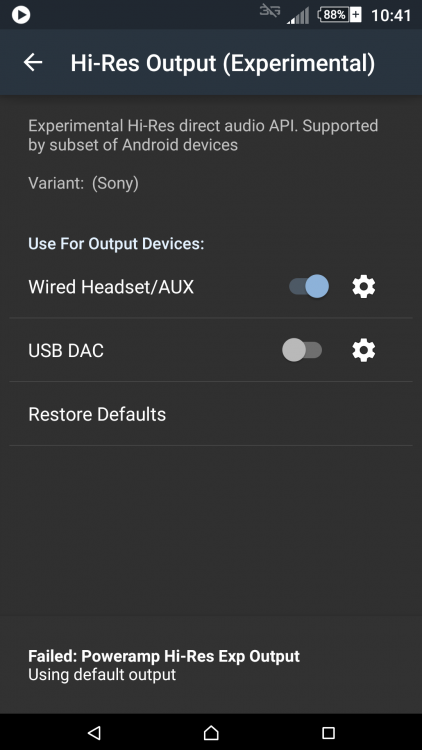 If you open Poweramp Audio Settings => Output and you can see Wired Headset/AUX in Hi-Res Output (Experimental), then it's supported. Q. Are these devices actually output Hi-Res audio or is this fake? These are Frequency Analysis screenshots taken by capturing Poweramp alpha2 while playing 0-96khz sine sweep, encoded as 24bit/192khz flac on Headset/AUX output with Hi-Res capable sound card (Asus X5) @ 192khz. Q. What about planned UI changes? A. I'm on it and that will be focus of the next release (that would be beta1). And the last beta would be beta2 with Remote Playback/Cloud Storages support. Can I ask why LG G2 isn't tested/confirmed device for Hi-Res output? Will it change in the future? It's quite hard to collect all possible variants of all Hi-Res capable devices, esp. the older ones) It can be tested by installing Alpha2 on it and checking the Output Settings as described in FAQ. That's only needed if you want to download from Google for some reason. For registered users here on this site, it's much easier to download directly from the 'Downloads' tab at the top of the page. Really? Why not, what did it say? When I'm performing a full scan it finds nothing. Just registered to say thanks! I REALLY like the 100 volume stepping. I've been longing for any player to be able to provide this feature! One thing; I'm using Exynos Note 4, and I read several articles already that it should support 24/192, but Samsung only sampling them to 16/48 no matter what the music player is. Now that the new alpha feature provides a hi-res option, I gave it a try. It gave me a tick, or probably knocking sound in certain interval, even though I set it to 24/48. I understand it's experimental, but I just want to share and ask something. Any idea? I'm using Poweramp for years now and while i'm notorious to try out audio players on the market or give a chance to the default audio player with every new device, i'm always come back because the sound quality is simply superior. 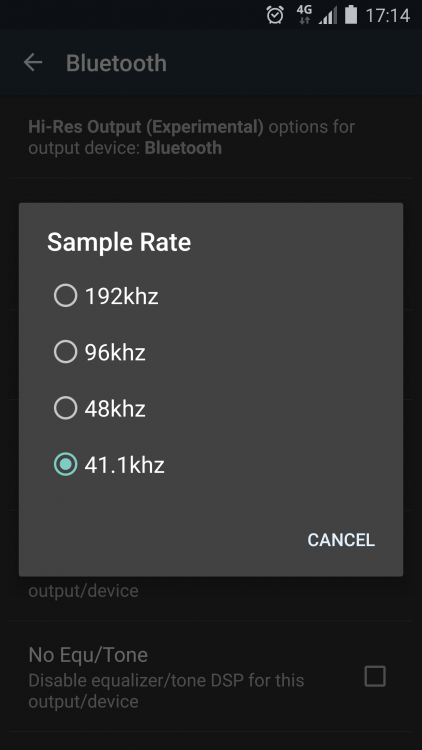 The V3 alpha is a good step towards even better sound quality and new features. I'm not that interested in material design as i think that Poweramp is looking good for my eyes and what is count that the functionality, bug-free workign and sound quality. Apart from sometimes the bluetooth audio is not continuing after incoming phone calls, it's working good for me. I normally prefer my system to be as clean as possible but i don't get why the default audio player can not be equipped with decent features and good sound quality. Btw, thanks for your efforts ! Yes, I've just found that too, alpha2 still doesn't always auto-resume Bluetooth playback after a phone call. However on the plus side, the very much more annoying bug in alpha1 which caused the track position to be reset to zero on every bluetooth disconnect has gone! That one was very annoying if you're listening to a long audio track spread across several shorter car journeys! Maybe it's only available on Lollipop and above then? I guess I'm going to have to 'upgrade' to that at some point, but I really don't like a lot of the new things thing introduced with Android 5. 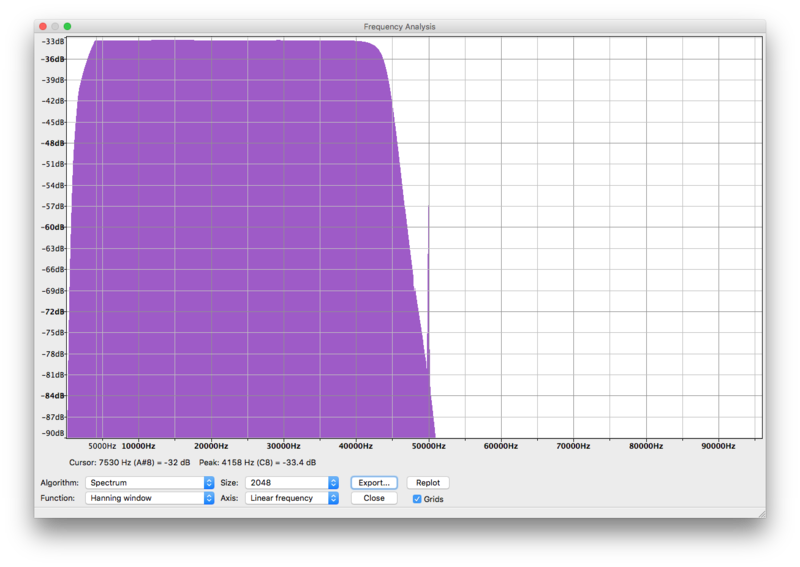 It's available for me, located just below Direct Volume Control and just above MusicFX. I'm not sure why it isn't available in yours.